I still remember the feeling of slipping on my first pair of Vans all those years ago. I’d saved up my allowance to get a pair of the black-and-white checkered slip-ons. They were the most comfortable pair of shoes I’d ever had and looked ultra cool in my mind and, as it turned out, in the eyes of my classmates. I haven’t stepped onto a skateboard in many years but I still love Vans, especially the C&L Era 59s. These canvas low-top lace-ups are great for summer weekends; throw on a pair of chinos topped off with a neutral-colored polo or casual cotton short-sleeve button up in a fun print (think tropical or madras) and please, leave the shirt untucked — it’s the weekend, after all. Ditch the boat shoes; these are way more comfortable, especially if you’re going sockless, and with their leather accents are still sharp enough for a day at the beach, a barbeque at your boss’s place, or a garden party with friends. And there’s a reason skaters love Vans: They’re well made and far more durable than the ubiquitous cheap knock-offs. 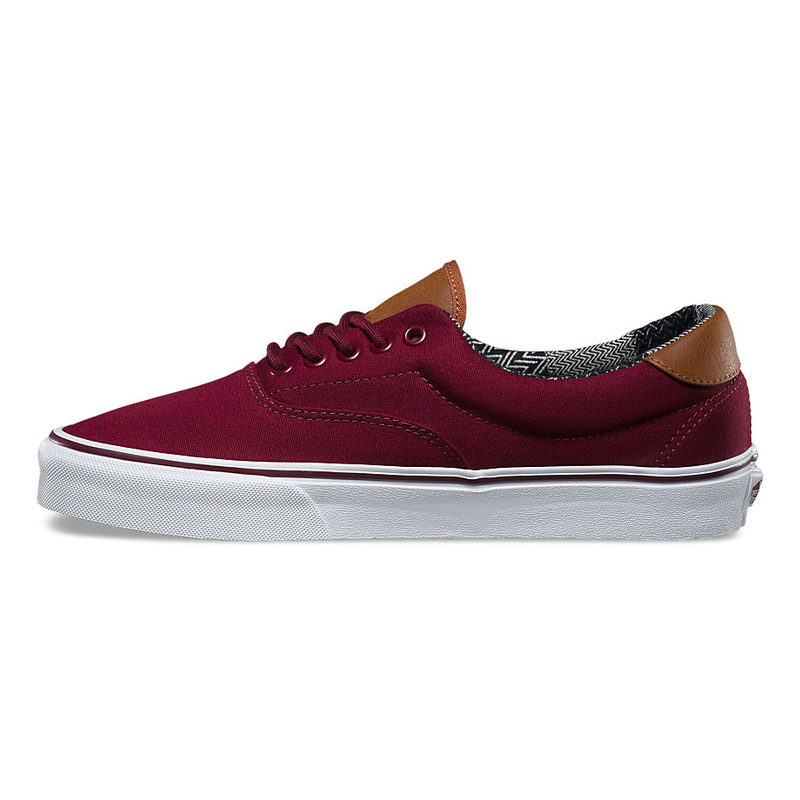 C&L Era 59s come in a range of colors, from chambray to “Port Royale,” a deep wine red, and are available at a variety of online sites or direct from Vans. Get them here for about $60.